The Great Gatsby, a perfect film that the events industry can bring to life! 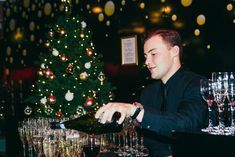 After a recent Gatsby style party event at Madame Tussauds London we have summed up our top 5 tips to throw a party even Jay Gatsby would be proud of! 1. Add something special to your champagne saucer! We may not be able to afford free flowing fine champagne at our Gatsby party, but so long as it’s golden in colour and sparkling, your guests are guaranteed to be happy. If you want to add something extra special then there is nothing better than a peach bellini or a kir royale served in a 1920’s champagne saucer! 1920s food was all about the devilled eggs, stuffed mushrooms and vol-au-vents, maybe not a menu for everyone at today’s party. So our suggestion is to go modern American! Bagels, posh burger sliders, mac ‘n’ cheese and chicken goujons were some favourites at our Gatsby party from top London caterer Food by Dish. Don’t forget the chocolate fountain! If you aren’t fortunate enough to have your own stately home then fear not, there are plenty of things that can transform a space that even Gatsby would be envious of. 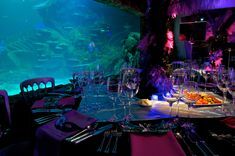 Madame Tussauds lends itself beautifully to this theme with spectacular chandeliers, opulent pillars and colour controllable lighting throughout. Top theming supplier Partridge Events added Luxurious chiffon draping along with chesterfield sofas and gold plated tables to complete the look. Check out our Pinterest page for ideas. The Great Gatsby is a perfect theme for those who want to go wild with fancy dress, whilst also appealing to the more subdued guests! It’s all about the glitz and glamour. Ladies – feathers, headbands, fringing and sparkle! Men- trilbys, braces, brogues and suits – SIMPLE yet glamorous! Check out our Facebook page for inspiration. At Gatsbys you must be sure to keep your guests entertained throughout the evening, and there are some great 1920s inspired options out there. Some of these include: dancers, flash mobsters, singers, trumpet players, honky-tonk pianos and casino tables. If you are after the real WOW factor, Sternberg Clarke’s burlesque performance in a water filled martini glass is sure to leave your guests mesmerised (be sure to ask for the corporate version!). Price matching is everywhere but will it be the make or break of retailers?